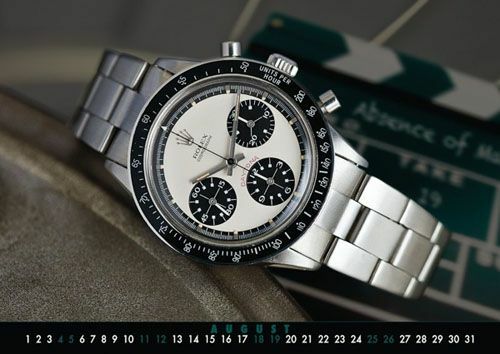 The Watchphotographer introduced his first Watch Calendar last year in 2010. This year he created the Watch Calendar 2012 with the help of collector who have very nice watches in their collection. The calendar has been finished, is in stock and ready for immediate shipping once you order one. I have my copy already and it is even better than last year’s edition. It is a large size calendar, great quality paper and has the following dimension: DIN A2 (± 42,0 x 59,4 cm / ± 16.54” x 23.39”). Very useful when you need to discuss the location with your partner or roommate.